On all MyK. products we offer a warranty of 1 year from the moment of purchase. Only a copy of your purchase receipt or your order number will be accepted as your certificate of guarantee. 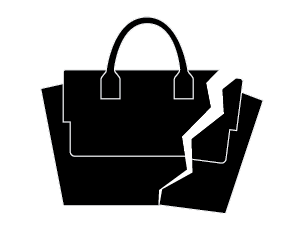 If your product is broken within 1 year, please send an email with clear pictures of the defect plus a copy of your purchase receipt or order number to shop@myk-bags.nl. Note: we only offer warranty on construction defects. We DO NOT offer warranty on stains or scratches. After we received your email with pictures we will check if the defect is covered by the warranty. A broken product will not immediately be replaced by a new product. First we will try to repair it. Within 4 weeks you will received your repaired product or we will replace it for a new one.